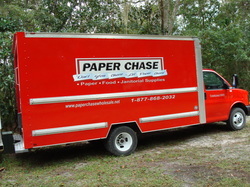 " Don't You Chase - Let Paper Chase "
WE CAN SAVE YOUR BUSINESS MONEY! Schools, Daycares, Small and Medium-sized Companies. Try Us!